Hooray for Lauren Tarshis, who saw a hole in the children's literature market and filled it with historical fiction novels for developing readers. The key to success for this series is that the novels follow a young person through a disaster. When I spotted a book of nonfiction stories that mirror the series, I knew it would be the perfect addition to my classroom library. The five sections of the book are expertly arranged to appeal to young readers. There are many photos, sidebars with facts, and follow up information on the disasters. I will be sharing this book with my class this week and know that I am in for a lot of amazement over what they read. I love that one of the disasters Tarshis selected was the Boston Molasses Flood. As a native Bostonian, I had never heard of this event, and it totally captured my imagination. How awful it must have been to have everything covered with sticky sugar! The cleanup from that disaster had to have been far more complicated than recovering from a traditional water flood. 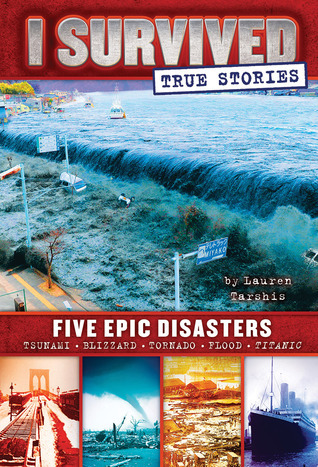 I want my students to read nonfiction that causes them to wonder and I Survived: True Stories does just that.